If you want to make more money with your business, then you need more of everything. I’m talking more traffic, more subscribers, more sales, and that means you need more lead magnets. No, scratch that… not just MORE lead magnets, you need a LOT MORE lead magnets. You need different lead magnets to appeal to different subsets of your population. It’s the only way to build a big, responsive and even segmented list. You see, a lot of online marketers create one lead magnet and call it a day. Then they use that lead magnet over and over again, sometimes for months on end. Yikes. That’s a common yet horrible mistake. That’s because you’re not doing a very good job of encouraging people to join your list if you only offer them one lead magnet. For starters, a chunk of your population simply isn’t going to be interested in that particular lead magnet. But that doesn’t mean they don’t want to be on your list. You just haven’t offered them the right carrot to persuade them to join. And if you’re not offering more than one lead magnet, then you’re leaving a lot of subscribers and money on the table. Secondly, if you’re only offering one lead magnet, then you’re missing an opportunity to segment your list. Offering multiple lead magnets to both prospective and existing subscribers gives you insight into what they want. In turn, you can send out highly targeted content and ads to your different list segments, which boosts conversions. Third, if you’re offering only one lead magnet, then you’re missing out on sales. 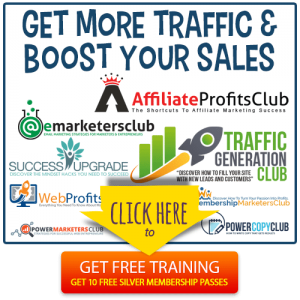 Every lead magnet you create gives you an opportunity to passively generate more sales. So the more lead magnets you’ve set free in your niche, the more money-making opportunities you’ve created for yourself. In short, if you want to make more money and grow your list, then you need to have a lot of lead magnets! And that’s why we’ve created this post. In just a few moments you’ll learn more about the top ways to create lead magnets, including time-saving and money-saving tips and tricks you’ve never even thought of before. 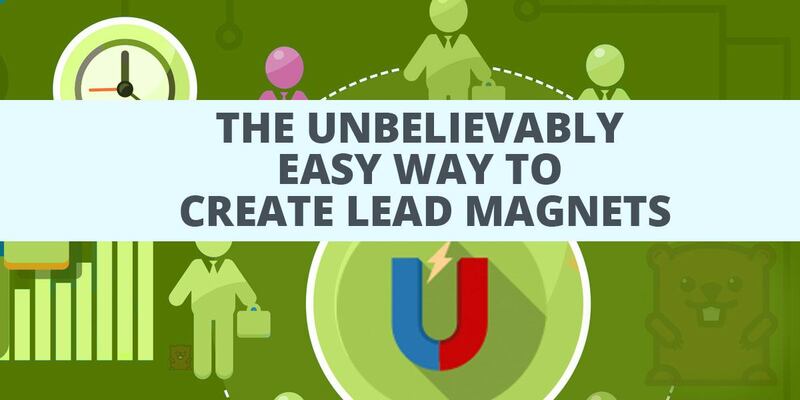 Plus you’ll discover one of the very best ways to create lead magnets instantly – this one is going to surprise you… and excite you! This is probably the most popular way to create a lead magnet: just roll up your sleeves and do it yourself. You may not have the skills to create a good end result. We all like to think of ourselves as rock stars when it comes to our business, but sometimes our efforts leave a lot to be desired. There’s no shame in admitting that you’re not a good writer. In fact, your business depends on you accurately assessing your skills. It slows your business down. If you’re trying to do it everything yourself, including creating lead magnets, then your business is going to grow about as fast as a snail carrying a pail of molasses. 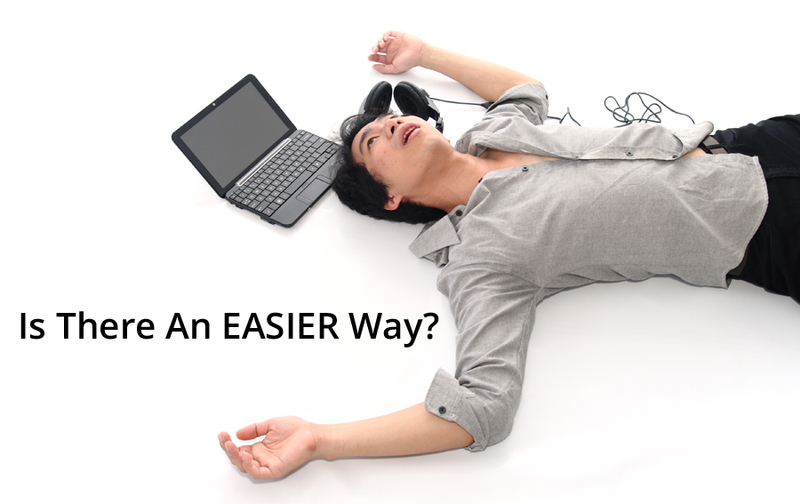 Now despite these downsides, there are also some very good reasons to do it yourself! You have complete control over the product. When you do it yourself, you get to turn your vision into an exact reality. You create it in a way that you think works best. This doesn’t always happen when you outsource a project. It’s a good option when you’re low on cash. While you can consider outsourcing as an investment rather than an expense, you still need to come up with the cash to make it happen. And if hundreds or even thousands of dollars just isn’t in your budget right now, then you may just opt to create your lead magnets yourself. 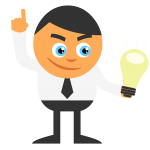 TIP: You might opt to create a couple lead magnets yourself, and then reinvest some of the profits later into creating other lead magnets. It’s a good way to share your expertise. If you have strong credentials to teach a particular topic, then you might find that creating the lead magnet yourself is the only way to teach advanced concepts to your readers. For example, if you have a medical background, then you are uniquely qualified to share information about living a heart-healthy lifestyle (and you may not want to leave this important topic in the hands of a freelancer). Point is, even though it takes a lot of time and slows down your business growth, there are some good reasons to create a lead magnet yourself. Create a great impression. Be sure you put forth your best content, proof it, and format the content in a way that looks polished and professional. You only get one chance to make a great first impression, so do it right the first time. Convert to a PDF. That’s really the only acceptable format for a downloadable text-based lead magnet such as a report. Be sure any links you include inside the report are clickable. Consider reinvesting your profits. As mentioned, creating all your lead magnets yourself can take a lot of time. So one option is to create some of your lead magnets yourself, and then reinvest your business profits into outsourcing some of your other lead magnets. The idea behind this method is to find a competent freelance writer (or writers), and leave them in charge of creating all the lead magnets you need. It’s fast. This is particularly true if you have multiple freelancers working to create your lead magnets. What might take you months to do on your own (such as creating a year’s worth of lead magnets), may take as little as a few days or weeks for a team of freelancers to tackle. It frees up your time. When you’re not stuck at your computer creating lead magnets, you have more time to devote to other high-value tasks such as finding marketing partners or placing ads. As with any method, there are of course a few downsides to outsourcing. You need a bundle of cash. Even though a good freelance writer is worth it, they ARE expensive. Depending on what you’re creating, you may need to invest hundreds or even thousands of dollars. And if you’re just getting started, you may not have that sort of cash laying around. You’re dealing with a writer, not an expert. Your writer can craft a snazzy piece of content – but they’ll never be as proficient as you are in your field. So when you’re looking to create something technical or advanced, you’re going to need to give your writer a lot of information. Alternatively, you may create a rough draft and have your writer apply a little spit and polish on it. It can be a nightmare. Outsourcing is a total dream come true when you find the right freelancer. But it can also be a total nightmare. You might encounter everything from missed deadlines to freelancers who take your deposit money without creating anything in return. Do your due diligence. One of the best ways to create a good outsourcing experience is by doing your due diligence thoroughly during the hiring process. Sure, it takes time to do all that research and it may even sound like a hassle. But doing it upfront will save you a lot of time and money over the long run, so it’s well worth the effort. Create detailed briefs. Your writer isn’t a mind reader. So if you’re sending out half-baked project briefs, then you can expect to get a half-baked end result. If you want good results, then invest the time in creating detailed briefs which lay out exactly what you want the lead magnet to look like. Choose a freelancer who understands marketing. Some writers can create a grammatically correct piece of content, but they couldn’t create something persuasive if their life depended on it. If you want lead magnets that produce sales, then choose a writer who understands copywriting and marketing. 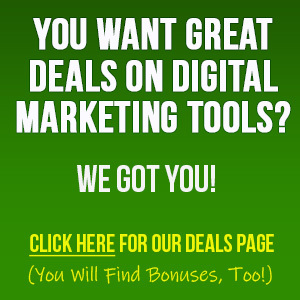 This is a very attractive option, because it lets you create a lead magnet fast and free. That’s because what you’re doing is co-creating your content with anywhere from one or two to dozens of other experts in the field. In exchange for giving you content, you give each of your co-authors free publicity within the lead magnet. It’s fast and free. You don’t need to create the content yourself, and you don’t need to spend a penny outsourcing. Instead, you simply recruit other experts to create the content for you in exchange for a link and promo within the lead magnet. You get a high-quality lead magnet. If you choose high-quality partners, then you’ll end up with a very unique and high-quality lead magnet. You get a boost in the niche. If you’re just getting started in a niche, associating yourself with big names in the niche helps you get established. In essence, you get to borrow their credibility to give yourself a boost. You get marketing help. Generally, most or even all of your partners will distribute the end product to their networks, so you’ll get a lot of traffic coming your way. Now all of this may sound enticing, but there are some downsides to this strategy. Your backend sales will be diminished. That’s because everyone who contributes to the product gets a link and a promo inside the product. You’re basically competing for sales with every single one of your lead-magnet co-authors. You lose creative control of the product. Sure, you have the ultimate editing authority. But nonetheless, the end product is largely up to your co-authors and what they share inside the product. Point is, this is the sort of product you may create once a year. However, it’s not something you want to do every time you need a new lead magnet, because your own marketing efforts will get diluted by your co-authors. Choose high-quality partners. Your name is going to forever be associated with the other names on that lead magnet, so you want to be sure you’re working with good partners. Do your due diligence and only choose to work with those who have impeccable reputations in your niche. Give your partners a good deal. If you’re offering a lot of work for very little reward, you’re not going to get a whole lot of takers. So give your partners a big reward, such as a lot of exposure for relatively little work. Develop relationships first. It’s much easier to get potential partners to say “yes” to your request if you’ve somehow made a good impression on them first. For example, you might develop a friendship first, and then later propose a joint venture. Or perhaps you do something beneficial such as generate cash and sales for a potential partner as their affiliate, and then later you propose a joint venture. Point is, people like to do business with those they know, like and trust, so it’s a good idea to build relationships before engaging in joint ventures. If you want to save yourself both time and money, another option is to create your lead magnets from private label rights (PLR) content. It’s a fast way to create lead magnets. If you purchase high-quality PLR content, then all you need to do is tweak it a bit to create lead magnets. This is much faster and easier than creating your lead magnets from scratch. It’s less expensive than outsourcing. Even if you hire a freelancer to do the tweaking, this is a much less expensive option than hiring a freelancer to create the content from scratch. As always, there are some downsides to this option. Finding high-quality PLR content can be challenging. Not only that, but finding a LOT of high-quality PLR from the same source is even more challenging. Generally, whenever possible, you want to buy from the same source so that the content you’re offering is fairly consistent in terms of “voice” as well as the strategies the content is teaching. You need to rework the content. Sometimes you can get by with just a few tweaks. In other cases, you may need to rework it in a major way, especially if you’re looking to create something unique. In other words, you usually don’t want to use PLR content straight out of the box, as you’d be directly competing with everyone else who holds a PLR license. Do your due diligence. It takes a bit of time upfront, but it will save you a lot of time and heartache in the long run. What you want to do is research the vendor and the content itself to be sure you’re not going to run afoul of any copyright laws. (Which can happen if you purchase PLR from a vendor who plagiarized someone else’s work, or who’s selling the rights to someone else’s content.) You also want to make sure you’re getting well-written and well-researched content. Read the terms of service carefully. Be sure that your private label rights license lets you do the things with your content that you want to do. Think about not only what you want to do with the content today, but also what you may want to do with the content in the future. Rework the content. Even if you encounter a piece of content that’s absolutely perfect right out of the box, you should still rework it so that you create a unique piece of content to use as a lead magnet. Compile two or more pieces of PLR content to create something new. For example, you can combine a report, a section from an ebook, a couple articles to create something completely unique. Extract an excerpt out of an ebook to create a short report as a lead magnet. Turn the content into another format. 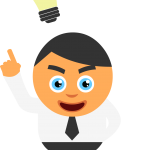 For example, turn a PLR article or report into a set of checklists or an infographic (or vice versa).You can also turn audio or video content into a text product, and vice versa. Tweak it so that the content reflects your voice. You want your content to be consistent across your platforms and products, so be sure your PLR content sounds like something you wrote. Tweak the content to reflect your strategies and philosophies. Sometimes even really good PLR content may include strategies or philosophies with which you don’t agree. So be sure to remove these references, so again your content is consistent across platforms. In short: make it unique, and make it your own when you use PLR content to create your lead magnets. So as you can see, there are plenty of ways to create lead magnets. And as mentioned, there are plenty of both advantages and disadvantages to all of these methods. What you ultimately choose depends on your skills, budget, business goals and preferences. Take note that plenty of online marketers end up using a combination of these methods. That is, they create some lead magnets themselves, they outsource others, and every once in a while they may crowdsource or use PLR content too. There is one more option that we haven’t talked about. Is There An EASIER Way? The short answer is yes. You’re a blogger, right? So you already spend a lot of time planning and creating great content. Maybe you do it yourself, or maybe you outsource it. Doesn’t matter – the point is, your blog is already full of great content. Now imagined if you repurposed this content and turned it into lead magnets. Just think about your traffic stats and interactivity for a moment, and it’s pretty clear that some of your content is REALLY popular. There’s no doubt that and eager audience would happily turn over their email address for this type of content upgrade. Until recently, this was the sort of undertaking that was overwhelming and tedious. You had to sort through your best content, format it so that it looks good as a downloadable product, and then convert your content into a PDF. Then you needed to upload your lead magnet to your website. THEN… you needed to get an autoresponder, create an opt-in form, and set up your autoresponder to deliver your lead magnet. That’s a lot of work, even if you don’t need to create any new content from scratch. There is an EASY way to turn every single one of your blog posts and pages into lead magnets. And that easy way is with a WordPress plugin called Post Gopher. You activate the Post Gopher plugin on your WordPress blog, and with a couple clicks you can decide whether to convert some or all of your posts and pages into irresistible lead magnets. You can choose to convert individual posts, you can choose entire categories, or you can elect to turn all posts into lead magnets. Post Gopher then converts your pages into PDFs, which lets prospects on any platform and any device download and read your lead magnet. It also generates beautiful lead-capture forms, which makes creating a lead page a thing of the past. Finally, it delivers the lead magnet automatically to prospects who join your list! This is the hands-free, EASY way to create lead magnets. It’s fast. As soon as you activate the plugin and do a few clicks, your WordPress blog posts and pages instantly become lead magnets. You don’t need to fiddle with lead pages or creating lead magnets, because Post Gopher does all the hard work for you. It’s cheap. To get started, you need to purchase a license to use Post Gopher. But the license cost is less than what a freelancer would charge you to create brand new content. 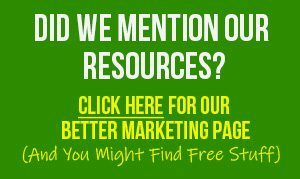 And Post Gopher lets you create an unlimited number of lead magnets from your existing posts and pages, which makes this a very smart investment! You get more traffic. You probably spend a lot of time trying to generate traffic using social media, search engine optimization, or even paid advertising. While all of these methods are awesome, some of the best traffic you can generate is to bring previous visitors BACK to your site. And you know what? Post Gopher does this for you. Post Gopher works hard to get your readers on your mailing list so that you can follow up with them again and again. Plus your lead magnet keeps your links in front of your prospects – people will click back to your blog as well as to your sales pages! You enjoy more sales. As long as you have backend offers embedded in your blog content, then turning that content into lead magnets automatically will generate even more sales for you! You can segment your list. If you’re using an email service provider that offers segmenting, then you can segment your mailing list according to the types of lead magnets people are requesting from your blog. And that means you can send out highly targeted content and ads, which in turn boosts your conversion rates and sales! And be sure to look at the demo to see how it works! Now once you examine this plugin a little more closely, your mind is going to start going a mile a minute as you think about how easy it is to create relevant and effective lead magnets using Post Gopher. Consider this: if you’re already creating content for your blog that’s designed to bring people back to your blog, then that’s the sort of content that will work really well for a lead magnet. It will keep your links and calls to action in front of your prospects, right there on their device. And that means more traffic, better conversions, and more sales for you! In-depth blog posts. These are your anchor posts, the ones that people bookmark and refer to again and again because they contain so much good information. When you turn them into lead magnets, you can bet people will continue to refer back to them repeatedly. Checklists, worksheets, templates and other “take action” tools. For example, maybe you have a blog that shows people how to become better copywriters. If you give people access to valuable tools such as sales letter templates and swipe files, you can bet they’ll refer to this content repeatedly. “List” articles. Maybe this is a gear list, where you give people recommendations for what sorts of tools they should be using to accomplish a niche-relevant task. Those are just a few examples to get you thinking. Obviously, just about ANY blog post will work to become a great lead magnet. But if you intentionally create blog posts that people will reference often, then you’ll automatically also be creating lead magnets that people want… and that they’ll refer to again and again. And best of all: when you use Post Gopher to turn your blog posts and pages into lead magnets, you don’t have to lift a finger… because the plugin does it all for you. It converts your posts into PDFs, it generates the lead-capture forms, and it delivers the lead magnet to your new subscriber. You’re gonna love this plugin, so check it out right now! NextWhich Of These Traffic Sources Are You Overlooking?